Special Piping Materials will be attending the 21st International Oil and Gas industry exhibition and conference (OSEA 2016). 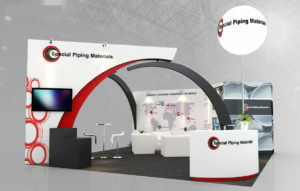 This month Special Piping Materials will be attending OSEA 2016. It will be the 21st international Oil and Gas industry exhibition and conference. The event will be held at Marina Bay Sands, Singapore and will be looking to host more than 16,000 trade attendees over the whole 4 days. For anyone attending there’s lots to expect! With over 1,000 exhibitors from 48 countries and regions across the world. The event is now seen to offer a lot more for its visitors, offering 18 interactive masterclasses as well as being able to hear from top experts throughout the many conferences being held. As we all know the oil and gas industry is facing the challenges of cut backs and reductions as we restructure and find new strategies for the long run, thus allowing us to stay positive and prepare for an increase in the industry. It all kicks off on the 29th November until the 2nd December 2016! From 10.30am – 6.00pm. Our exhibition will be held at booth BM2-01 in basement level 2. We will have all our key staff on the stand available to talk to you or assist with any future requirements you may have. Or just come down for some refreshments! We look forward to seeing you at OSEA 2016! For more information and to visit the exhibitors site, click here.